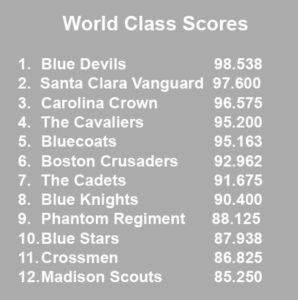 In 2017 Drum Corps International competition, the Blue Devils and Vanguard organizations received top ranks in both World and Open Class while Carolina Crown and Legends took bronze respectively. 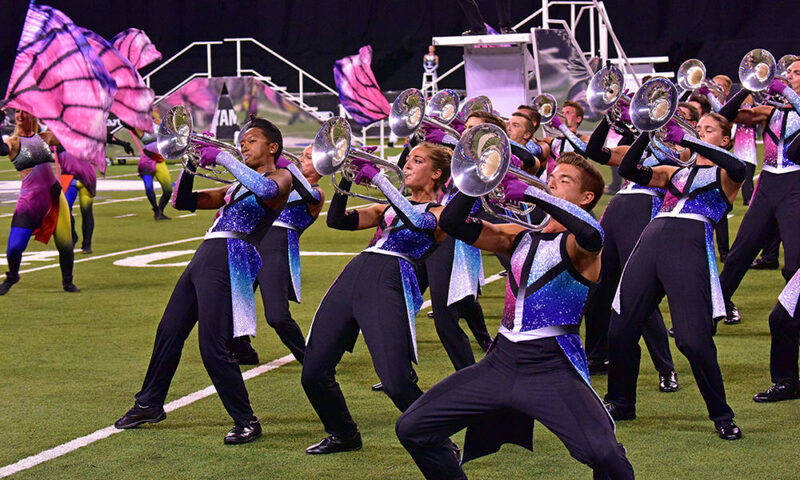 In 2017, several drum corps hit major milestones. The Blue Devils and Santa Clara Vanguard came together to celebrate their respective 60th and 50th anniversaries. 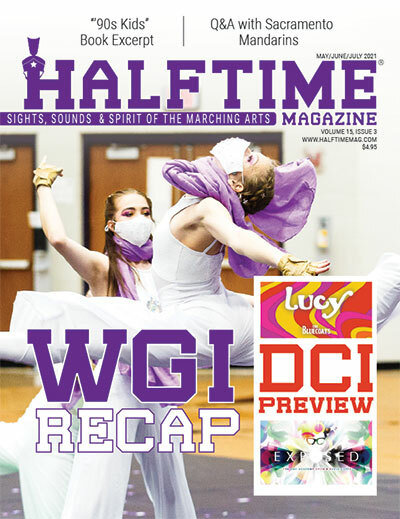 These two corps, along with Carolina Crown, presented shows about change, evolution, and mixing the old with the new. 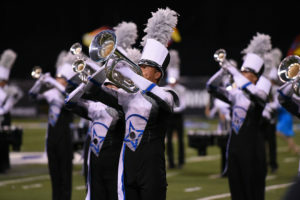 With a score of 98.538, the Blue Devils—Drum Corps International’s winningest corps—took home its 18th gold medal plus two caption awards for Best General Effect and Best Visual Performance. Despite its impressive track record, the Blue Devils from Concord, California, never gets complacent. 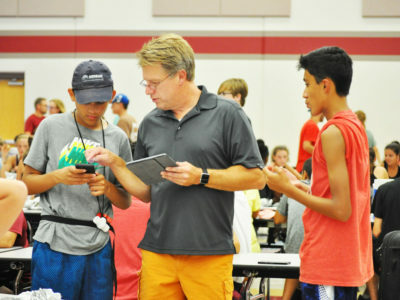 Every year, the corps finds new ways to reinvent the drum and bugle corps activity. The spectacle this year came from “Metamorph,” a show about change and growth with a meaning that functions on three levels. 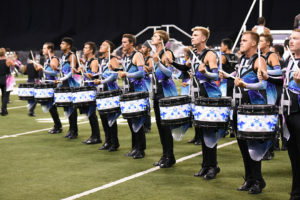 “The first is to show how the activity [of drum corps] has metamorphed—where it came from and where it could be going,” says Blue Devils corps director Patrick Seidling. The second meaning of “Metamorph” is an illustration of the changes the Blue Devils corps itself has undergone since its founding in 1957. 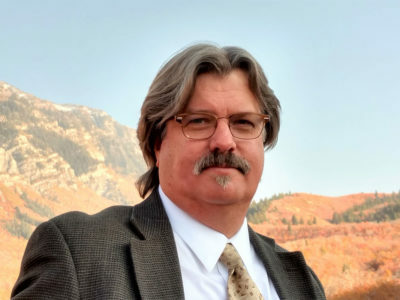 “We show that with musical motifs we’ve performed over the decades [and] putting in some of our signature drill moves from the past,” Seidling says. The third meaning of the show was a story—accessible to all audiences—of a butterfly emerging from a cocoon. 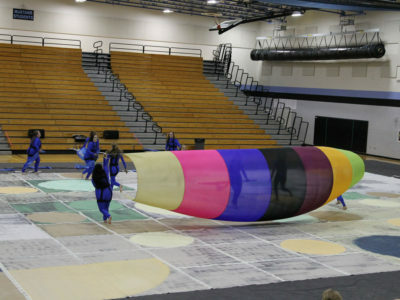 Color guard members embodied this theme by wearing outfits resembling cocoons toward the beginning of the show. Partway through, corps members shed their jackets, and the guard revealed flags that look liked butterfly wings. 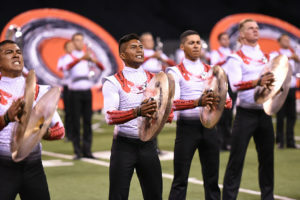 “If you didn’t know anything about drum corps or its history or the Blue Devils, you could still watch the show and see the story of a butterfly,” Seidling says. While growth and metamorphosis define the Blue Devils this year, the corps also maintains strong ties to its history and its traditions. This year, the Blue Devils celebrated its 60th anniversary. Because neighboring corps Santa Clara (California) Vanguard was celebrating its 50th anniversary, the two groups joined forces and put on a huge gala. 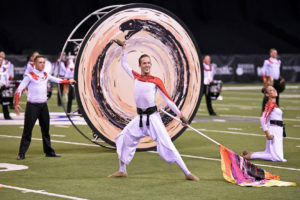 With a score of 97.600, Santa Clara Vanguard finished its 50th anniversary season with a second-place title at DCI World Championships plus the caption awards for Best Percussion Performance and Best Color Guard. Because of Vanguard’s 50th anniversary, this season has been busy—yet rewarding—for everyone involved. 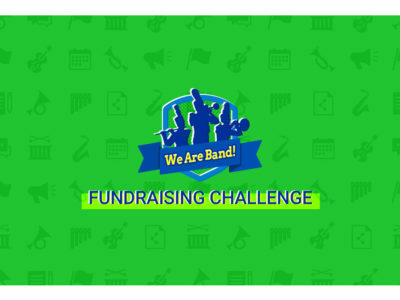 “The buzz around it this year has been unmatched,” says corps director Shaun Gallant. Vanguard kicked off 2017 by marching in the Tournament of Roses Parade with a contingent that included current and alumni members. “We got to meet a lot of new people you wouldn’t get a chance to march with,” Harper says. In third place, with a score of 96.575 and winning the caption award for Best Brass Performance, was Carolina Crown. 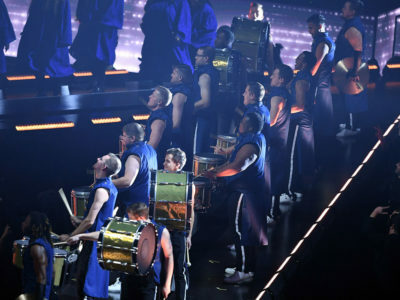 Its show, “It Is …,” deconstructed the traditional model of the drum corps activity. 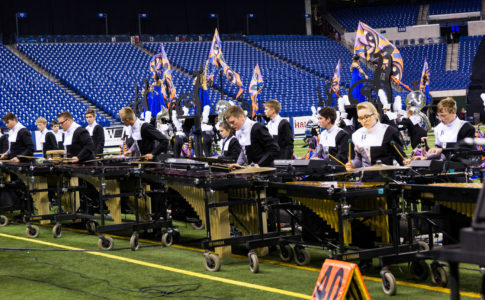 Crown’s break from tradition started with changing the setup of the Lucas Oil Stadium field itself. “We would move yard lines with different props; we would add additional zeroes,” says Jim Coates, executive director. Adding to the visual break from tradition, Crown performed a selection of music non-traditional for drum corps. 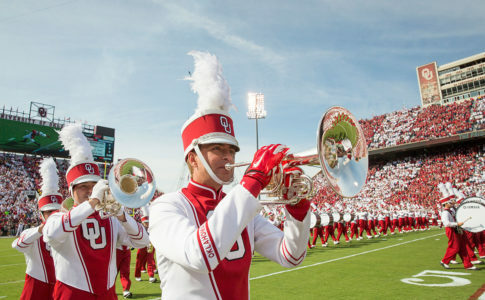 “The front portion of the show was recognizable music, and as you listen to that, it starts to deconstruct in terms of the melodies and rhythms,” Coates says. 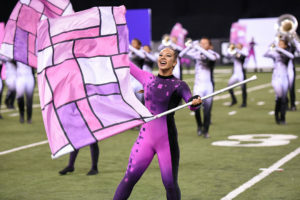 Despite Carolina Crown’s evident success this season, one of the most special parts of the year had nothing to do with music or competition—it had to do with charity, according to Coates. 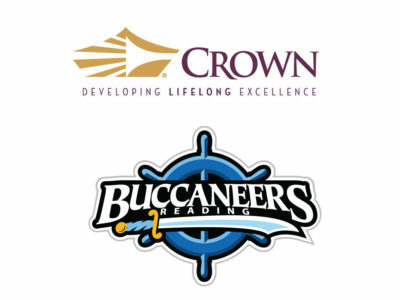 Conceived in 2015, CrownCARES is Carolina Crown’s community outreach program. This year, it partnered with Samaritan’s Feet, a philanthropic organization that provides socks and shoes to children in need. 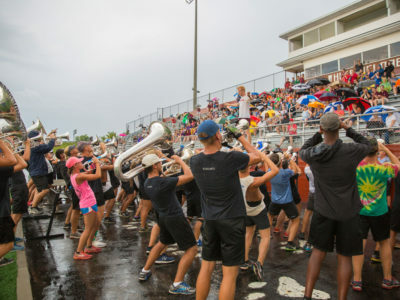 During its 2017 summer tour, Carolina Crown stopped in Columbia, South Carolina; Ferguson, Missouri; and Winston-Salem, North Carolina, to donate socks and shoes to more than 1,000 kids as well as give them some musical entertainment. 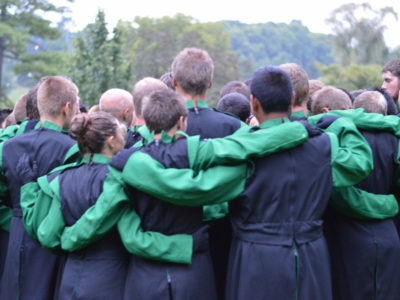 “It didn’t have to do with drum corps; it had to do with society,” Coates says. 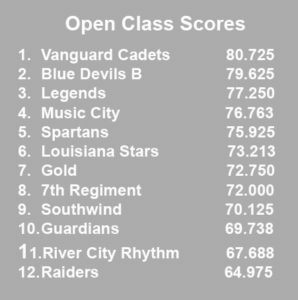 With a score of 80.725, the Vanguard Cadets not only took home the gold medal in Open Class but also swept the Open Class caption awards. On the surface, it might look like the Vanguard Cadets had smooth sailing all season, but that couldn’t be further from the truth. Once the staff reworked the show’s visuals, Barnhill says that everyone involved “hit accelerate,” so they wouldn’t fall behind other groups. The resulting show was “In Pieces,” which used vibrant colors to show the corps breaking apart and coming back together like Tetris pieces. “[The] first time we come together as a corps is the end of the show in big, unified forms,” Barnhill says. The Blue Devils B earned the silver medal in DCI Open Class with a score of 79.625. Its show, “The World the Children Made,” told the story of a child discovering the power of imagination. 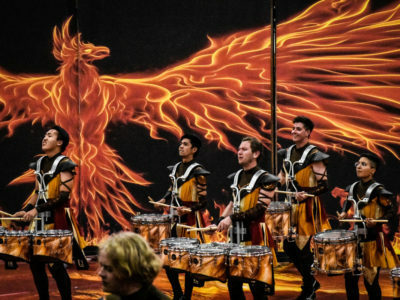 “As you get to the end of the show, the character realizes the strength in their own imagination, and their own mind helps shape the world around them,” says Ryan Odello, percussion caption head. Inspired by Porter Robinson’s “Worlds,” Ray Bradbury’s “The Veldt” (originally released with the title “The World the Children Made”), and the art style of Japanese anime, the show used props and stages that would change as the child’s thoughts changed. The song “Pure Imagination” from the movie “Willy Wonka & the Chocolate Factory” was woven in throughout the show, serving as a common motif. Started by executive director Ibe Sodawalla in 2006, Legends finished in the top three for the first time at last year’s Open Class finals—and then, with a score of 77.250, earned its second consecutive bronze medal this season. “It was definitely exciting for the corps to still maintain a high level of competitive merit,” Sodawalla says. “We used a musical palette that was a little more sci-fi, so it could be implied that the signal was coming from outer space,” Sodawalla says. 2017 was a year of continued growth for Legends, both in terms of membership and staff. 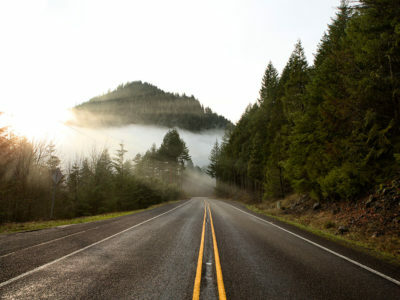 “We had a number of new people that joined [the staff], and we’re settling into new expectations and responsibilities—passing the baton in a lot of ways,” Sodawalla says. 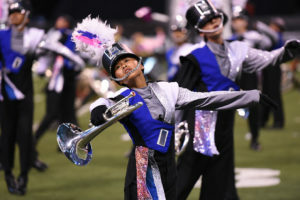 Photos of the Blue Devils courtesy of Kurtis Kenobbie. All remaining photos are courtesy of Ken Martinson/Marching.com.